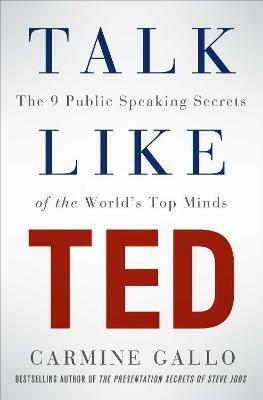 Ideas are the true currency of the 21st century, and Carmine Gallo's Talk Like TED gives readers a way to create presentations around the ideas that matter most to them, presentations that will energize their audiences to spread those ideas, launch new initiatives, and reach their highest goals. Carmine Gallo, bestselling author of The Presentation Secrets of Steve Jobs, is the communications coach for some of the world's most admired brands. A former anchor and correspondent for CNN and CBS, Gallo is a popular keynote speaker who has worked with executives at Intel, Cisco, Chevron, Hewlett-Packard, Coca-Cola, Pfizer, and many others and writes the Forbes online column 'My Communications Coach'. He lives in Pleasanton, CA, with his wife and two daughters.